Verge Elite Short Sleeve Cycling Base Layer. Product Image. Really nice material! Verge Elite Short Sleeve Cycling Base Layer. Size Small. Product Image. Really nice material! Verge Elite Sleeveless Cycling Base Layer. Size Small. Product Image. Really nice material! 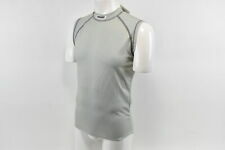 Verge Elite Sleeveless Cycling Base Layer. Size Large. Product Image. Really nice material! Elite Short Sleeve Mock Turtleneck Base Layer. Radicalvelo LLC Processing Information. Product Image. Really nice material! Product Image. May Have Marks from Storage. Elite Sleevless Mock Turtleneck. Cycling Base Layer. Elite Long Sleeve Cycling Base Layer. Processing Information. Cycling Base Layer. Radicalvelo LLC Processing Information. Product Image. May Have Marks from Storage. Processing Information. Elite Short Sleeve Cycling Base Layer. Processing Information. Radicalvelo LLC Processing Information. May Have Marks from Storage. Verge Elite Short Sleeve Cycling Base Layer. Size Large. Product Image. Really nice material! Elite Short Sleeve Mock Turtleneck Base Layer. Processing Information. Elite Long Sleeve Cycling Base Layer. Radicalvelo LLC Processing Information. May Have Marks From Storage. Cycling Base Layer. Processing Information. Processing Information. May Have Marks From Storage.